CVL10-New Zealand, proposed by CVL-Steering Committee members Agnes Mazot and Bruce W. Christenson. With the infamous Ruapehu Crater Lake and the highly dynamic fluids and hypersaline crater lake at White Island, CVL10-New Zealand promises to become arguably the most spectacular and exciting workshop CVL has organized, so far. Every lake researcher dreams to visit Ruapehu and White Island, making it maybe a once-in-a-lifetime, now-or-never occasion to get to those lakes, guided by crater lake pioneer Bruce Christenson and CO2-flux specialist Agnes Mazot. 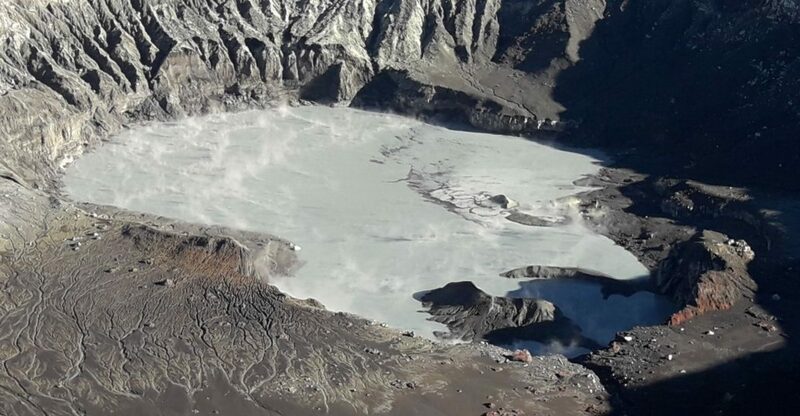 Moreover, with the scientific sessions based at the shores of bubbling Lake Rotomahana in the Waimangu Area CVL10-2019 will surely not become “just” a Ruapehu-White Island field trip. This CVL Workshop proposal has been in the loop since CVL7-Costa Rica, and within CVL we believe this time is the right time for many of us to finally get to New Zealand.